This year is a big year, as it marks the 500th anniversary of the birth of the Reformation, generally marked by the nailing of Martin Luther’s “95 Theses” on the Wittenburg Castle door. The purpose for the theses were to raise questions about what was happening in the Catholic church. The subtitle of the document was “Disputation on the Power of Indulgences”, and challenged the church’s selling of indulgences for the forgiveness of sins. Luther also argued that biblical repentance was based on personal faith and inner repentance, not the church’s ability to grant forgiveness of sin based on a contribution. The document was meant to announce his “theses”, which were written as a series of questions and propositions intended for academic debate. Aided by the newly invented Gutenberg press, this document was distributed throughout Germany and eventually to Rome, where it was not well-received by the Pope and the Catholic leadership. Within a year, the Pope condemns Luther’s writings, and by 1521 he was excommunicated from the church and later at the Diet of Worms refused to recant from his beliefs. In the area of worship, Luther encouraged hymns and liturgy in the language of the people, and a translation of the Bible in German so that people could read God’s word for themselves. 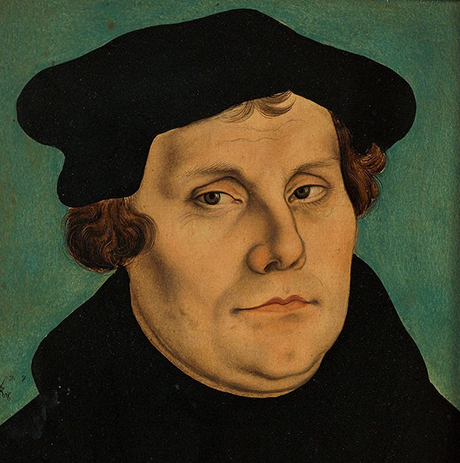 Luther’s beliefs, actions and writings led to what we call the Protestant Reformation. However, this was not his intent. He desired to re-form the Catholic church. He didn’t intend to start the Lutheran denomination, and even his liturgy that he used was first called the “Formula missae” (based on the Latin mass) and then later the “Deutsche Messe” or “German Mass”, a German version of the Catholic mass. Because the Catholic church did not appreciate his critical thinking, the church was not reformed internally, but externally, by people now outside of the Catholic tradition. While we have had reformations of sorts since “The Reformation”, is it time again for major reformations? What about our modern worship and church life needs reforming? I have some ideas, but I would love to hear some reader input. What do you think? I have three major thoughts that correspond to this article. They may seem obvious, but I believe they are important enough to repeat often. The first is this: reformation can only happen through the power of the Holy Spirit. As Dr. O points out, Luther didn’t even intend to start a protestant reformation. However, it was God’s will that through Luther’s efforts there would grow a much larger, more effective reformation. Without the ” backing” of the Spirit, nothing Luther did would have been consequential to the church. Secondly, I believe that reformation must start with the individual. By this I mean that a church cannot be reformed unless each individual is reformed, by the Holy Spirit. A church is a body, and each member of that body is designed to do their part. In order for a church to grow closer to God as a whole, each member must be on their own journey of sanctification and searching. Lastly, I believe the church is in constant need of reformation. By this I mean that there are always ways we can serve Christ better. There are always ways to love more, learn more, reach out more, and confess more. The more a church body strives towards its goal of pleasing the Creator and being justified and sanctified through Him, the more they will be RE-FORMED into the image of Christ. 1. Revival needs to happen in our hearts before it can happen in the church (2 Chronicles 7:14). Not only do our churches need revival, but also our country and the world. 2. We repeatedly need to preach the Gospel to ourselves. It isn’t enough to respond to the Gospel when we become Christians. I think we tend to lose sight of what really happened and we don’t get excited about the saving work of Christ as we once did. 3. This isn’t really a Christian thought, but something that my boss has been repeatedly talking to us about, and it is called OWN IT. All churches need to be open to change and growth, wrestling with ideas and concepts, never compromising what is important, involving others, and being totally committed. How often do you see church members being totally committed in ministry, during the worship service, or in their general walk with the Lord? Just some thoughts. Happy Reformation Day! The Reformation was change that needed to happen within the church body. As Micah pointed out, the church is constantly working on reformation. We are never perfect in anything we do and we should be constantly working towards bettering ourselves and becoming more Christ like. To answer the last question of the article, yes, I do believe that in some ways we do need a “new reformation” within the church, but this time I think it should a relational reformation. Too many times have I seen and talked to people who have been invited to a church, came once, and then never wanted to go back to a church. Almost every time I have seen this happens the person feels unwanted because the congregation is unwelcoming. This feeling of unwantedness can stem from people not taking the time to just stop and say hello, to people actively avoiding or whispering behind the persons back. I have multiple examples of when a kid who grew up in a public school and does not know Christ walks in and is shunned from peers and adults alike because “they do not talk right” or “they look weird.” We need to change this mindset of avoiding people because they are different then us. As human beings we are made in the image of God; we need to be living out that belief by loving each other. We need to be showing visitors more love and acceptance where they are at. We need to build relationships with people we may not be comfortable with, remembering that God loves us where we are at. Why could we not do the same for others? As both Micah and Michael said before me, there should always be constant reformation happening in the church. To answer the second question Dr. O asks, I think there are some things that need to be changed in the music that some churches play. In the book of Psalms, David makes it clear to us that it is important to sing new songs of praise to the Lord. Psalm 40:3 (ESV) states, “He put a new song in my mouth, a song of praise to our God. Many will see and fear, and put their trust in the Lord.” Psalm 33:3 (ESV) states, ” Sing to him a new song; play skillfully on the strings, with loud shouts.” Psalm 96:1 (ESV) states, “Oh sing to the Lord a new song; sing to the Lord, all the earth!” Those were just a few of the many times the importance of singing new songs to the Lord is stated in the book of Psalms alone. In my opinion, more churches need to update their worship setlist. Don’t get me wrong, there is a time and place for hymns (and 2007 Hillsong United throwbacks), but it is very clear that there is an importance in singing new songs of praise to God. With that being said, we shouldn’t make hymns or older worship songs obsolete, but they should not be what we rely on. We should regularly be updating our worship setlists, giving our congregation new songs new songs to worship God with, new lyrics with new theology to think about, and our band with new songs to learn. This is a great reminder of what we do in the church and what needs to be done. The Church has been changing and evolving throughout the generations constantly, but the message of God stands firm is solid. Without God’s help in us through the Holy Spirit, we will be unable to bring these changes in the church today, like the Reformation did back then. Martin Luther. I think our modern church life today may need to rewind and remember simpler means of handling a church service while also using the resources that we have today. There has been research showing younger generations returning to more traditional churches due to their focus on God. While this may not be the case in every situation, it is true that sometimes a church will get caught up in the tracks, lighting, and sound mix, so much so that the focus of Sunday morning is lost. This change can happen with the mindset of the congregation as well. I see more and more people arriving at church without even the Bible in their hands, relying on their phones and the slides of the pastor for the written Word. While this isn’t all necessarily bad, it can lead to distractions and loss of concentration on the Word and message. So I think we need to simplify back to the roots of our beliefs in the church, and use the technology given to us in a thoughtful manner. This is a great question and observation! So much of what Luther did was taken directly from the catholic church with some things added and taken out. I think this is an important distinction to make because we think of Luther making an entirely new way from scratch. This has specific implications for liturgy in the church. No one form of liturgy is perfect. We can always learn from others. In my own church, I have taken ideas from so many others (messianic Jewish, Presbyterian, Lutheran etc.) to form a liturgy. One of the things that i think need reformation and is already starting to be reformed is the emphasis on all parts of the service being connected as part of a lager whole. I cannot count the number of churches i have been in where the worship service consists of rigidly defined sections that clearly start and stop. The music usually severs as an attention grabber and little else. Announcements are thrown in there somewhere. The music is sometimes just there to get people focused for the service. The sermon is disconnected from music. prayer is used as a transitional device. I am hugely encouraged to see a less segmented view of a service creeping back into churches to a point where everything they do is supported by and supports other elements in the service. This does not mean that every service looks the same but it does mean that there is intetntionality in the way we lay out our services. Regardless of whether or not we realize it, we teach though our liturgy so it should be full of intentionality. I agree with the previous comments; the church should be constantly reforming. We are predisposed to sinful behavior, so we need to always keep our ministries and churches as a whole in check so that we don’t fall into a comfortable, sinful rut. If you want change in a church, you have to start with your own heart. If we aren’t fervently fixing our gaze on Jesus all the time, we are sure to fall. So to sum that part up, yes, the church is in need of a major reformation. But isn’t it always? Just as the Catholic Church was guilty of materializing and selling God’s grace, our churches have created a certain culture for worship. And for some people, if that culture isn’t channeled for service, they refuse to believe that the worship can be effective. We’ve branded praise and boxed up glory. We need to make sure that everyone knows the expanse of circumstances and environments that God works through and is worshipped. First off I want to say this post is not to offend anyone this is just something I’ve been thinking especially when it comes to reformation on both traditionalism in Christianity and my generation when it comes to Christianity. After reading this I do believe there should be another reformation of sorts, maybe not as huge of one but still change does need to happen. I feel like there are churches that are stuck in this mindset of staying traditional no matter what, which in my experience is is very negating. YES we need to be thinking about the previous generation of Christians, but we also need to be thinking about this generation and the next. Being stubborn and refusing to change your ways as a church for the next generation is in my mind is prohibiting the body of Christ from growth. On the other side of the generational spectrum, lets talk about the reformation that needs to happen in todays generation. I love how Lydia Norquist said earlier in this group chat, which was, “We’ve branded praise and boxed up glory.” This radically needs to change. Everything has to be “sold” in our generation and we need to be better stewards of not selling God’s free gift to us just to get more numbers in a church because once that happens its not about praising God anymore. In conclusion both sides have negatives, but both sides have there positives also. There needs to be reformation on both sides.